This is the complete and accurate list of the all the In-N-Out Burger secret menu items. 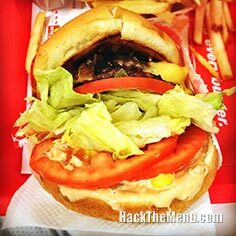 Some might argue that In-N-Out's Secret Menu hacks are even more popular than regular In-N-Out items - and we agree that they would have a pretty strong argument. 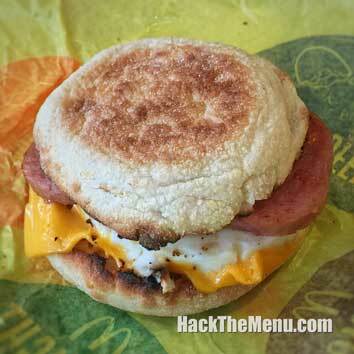 But why are the secret menu customizations so popular? 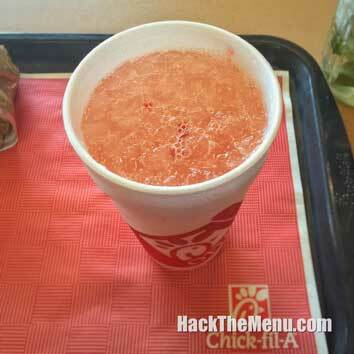 We don't know for sure, but we bet all the other fast food chains wish they knew the answer. 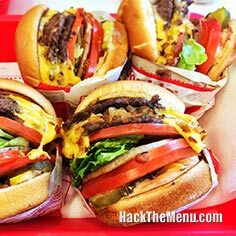 What's on the In-N-Out secret menu? 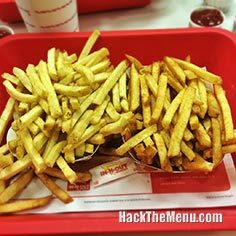 There are tons of secret menu items at In-N-Out, but we will start with the secret menu burgers! 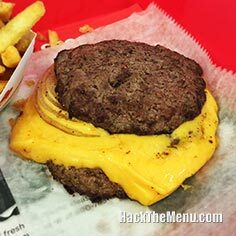 You can order a 3x3 (three by three), 4x4 (four by four), or anything inbetween a hamburger and a 4x4. The first number signifies how many burger patties you want, while the second number lets them know how many slices of melty American cheese you want on your burger. Besides switching up the amount of meat and cheese, you can add some flavor by getting the oh-so-popular Animal Style Burger. You can get your burgers cooked medium-rare, well done or even mustard grilled. And if you don't like meat, you can get the vegetarian-friendly grilled cheese sandwich. The secret toppings for your burgers include grilled onions, pickles, yellow chili peppers, extra tomatoes, extra lettuce, and extra spread. 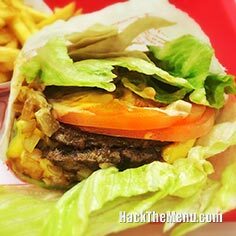 What about the secret menu fries at In-N-Out, any secrets there? You better believe it. 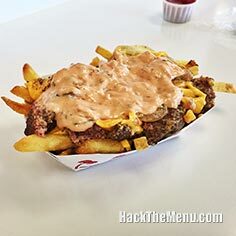 You can get Animal Style Fries or upgrade to the Ultimate Animal Style Fries if you are feeling extra hungry. 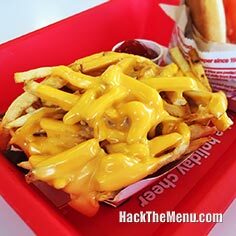 They also sell cheese fries if you feel like you want something inferior to the Animal Style Fries, just sayin'. Besides that, you can get your fries cooked to many different levels of "done-ness". From light fries to extra well done, you can get your fries just how you like them and made to order. 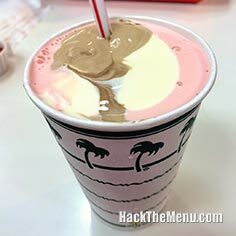 The secret In-N-Out Burger drinks and shakes are guaranteed to put a smile on your face. They will make root beer floats, neapolitan milkshakes, and any other combination that you can think of! 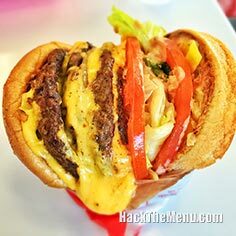 If you can't find something you like, you are just way too picky, because everyone knows that In-N-Out is amazing! 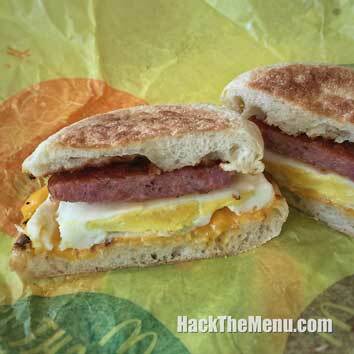 Don't forget to check out all of the other great Secret Menus on our home page! Still don't believe that the In-N-Out Secret Menu exists? You can see on their official website that it's real. They just don't dive as deep into the darkness that is secret menus on the official site. Why don't they want to share everything? Maybe it's just for the super fans like us. 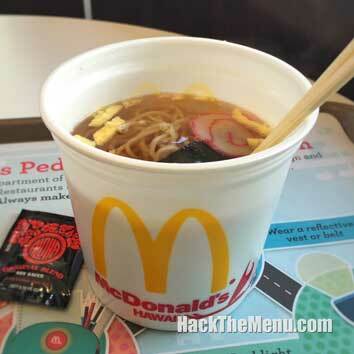 Now that you have all this knowledge, you can order up and taste what you've been missing! For those of you who want to see pictures of the tasty In-N-Out Burger secret menu items, we've got you covered too. Try not to drool. "I travel a lot and think I’ve tried nearly every item on the In-N-Out Burger menu. The classic burger and fries meal is great, but if you are looking for a true treat go for the Animal Style Burger and Neapolitan Milkshake. Seriously." "I was visiting my friend who is studying in Los Angeles and convinced her to take me to In-N-Out for my first time. I had heard good things about the restaurant and the food did not disappoint. Animal Style fries all the way. Yummmmm =)." In-N-Out was founded in 1948 in Baldwin Park, California by Harry and Esther Synder. In-N-Out has nearly 300 locations in the United States, serving customers in California, Arizona, Nevada, Texas, and Utah. 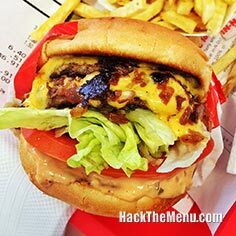 The In-n-out menu is comprised mainly of hamburgers, cheeseburgers, french fries, soft drinks, and milkshakes.